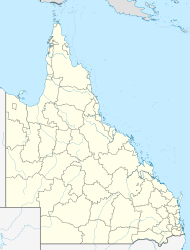 It is the home to the Sunshine Coast Grammar School and the Moonshine Valley Winery, and it is near the Forest Glen Deer Sanctuary in Mons, Queensland. Forest Glen is also the birthplace of Hugh Sawrey, famous Australian artist and founder of the Australian Stockman's Hall of Fame, who was born here in 1919. Eudlo Creek, a tributary of the Maroochy River is the main waterway in the area. ^ a b Australian Bureau of Statistics (27 June 2017). "Forest Glen (Qld) (State Suburb)". 2016 Census QuickStats. Retrieved 18 April 2018. This page was last edited on 21 January 2019, at 20:51 (UTC).